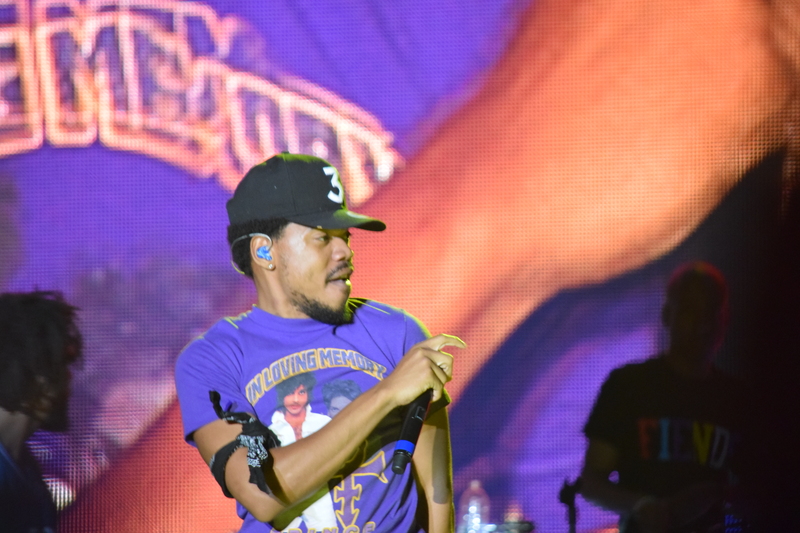 Attending Bonnaroo allowed me to discover all sorts of new music, such as Chance the Rapper. LCD Soundsystem may have been this year’s biggest scheduled performer, but Chance had the year’s biggest buzz. He wasn’t listed on the Bonnaroo schedule, but people caught wind via social media that he was there, and he guest-performed during others artists’ sets. On the final night, Chance hosted the Silent Disco, a dance party that can only be heard by attendees who were issued headphones. Crowds of people dancing to music, mumbling, and singing along to a song only they can hear is quite a sight. Chance The Rapper. Courtesy of Mason Jar Media. I view festivals as opportunities to discover new music and to expand my musical palette. I never heard of Daughter prior to seeing the schedule, but days before the festival, I sought them out online and really enjoyed their sound. Their 2016 album Not to Disappear helped me pass the time during my drive south to the festival. The band’s ethereal female vocals lend their music a dreamy quality. Amanda Shires was another artist I was unfamiliar with before giving her a few streams online before Bonnaroo. She plays country music, but not the sugary pop kind you hear on commercial radio; Shires has a beautiful and sharpened country twang. Feeling exhausted from the heat, I decided to find some shade and rest while listening to her performance. This is a common occurrence at festivals; people find cool places to nap without traveling back to camp. It seems like an odd thing to do while surrounded by such loud music and thousands of people, but it makes sense if you don’t want to miss something a bit later. Some people even sit in the middle of standing crowds awaiting a later band. I witnessed one couple with prime real estate playing a dice game during a crowded performance. Courtesy of Mason Jar Media. There were a few acts, such as M83 and Band of Horses, who, had I been attending several years ago, I would’ve tried to be front and center for. However, my excitement to see them at this stage in their career or, perhaps stage in my life, was no longer that high. While I’ve loved M83’s brand of electronic pop for a long time, I wasn’t particularly excited about their new album, Junk. 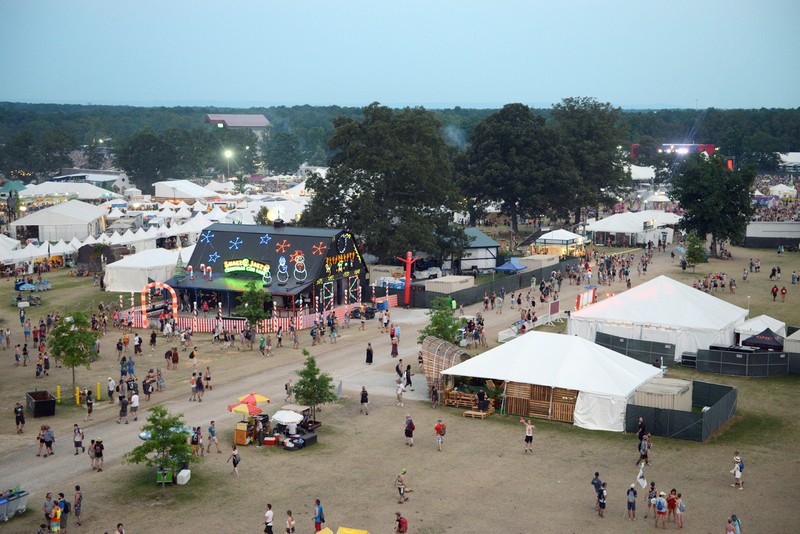 However, it has grown on me since Bonnaroo. Because of this, I stayed within proximity while M83 performed and listened to their set, but I didn’t fully engage. The same can be said for Band of Horses. I consider their first album, Everything All the Time, with nostalgia but don’t care for newer material. Despite this, when they played “Funeral,” I stopped to take it in, and in spite of my ambivalence, this is one of the most concrete memories I have of the weekend. Although I was already a fan of Steve Gunn before Bonnaroo, his new album Eyes on the Lines came out a week before the concert and was a vital part of my soundtrack on the way there. A former backing guitarist for Kurt Vile, Gunn is the epitome of cool. His chill and easygoing sound is perfect to hear outside in the summer. His songs meander through their melodies without betraying the immense skill they take to play on the guitar, which I witnessed at the festival. Bonnaroo was filled with extraordinary positivity and wonderful music, and Steve Gunn’s set embodied my entire experience. He played old songs that I knew and loved and, although not entirely unexpected, new music that I wasn’t as familiar with but still thoroughly enjoyed. Just like all of us, he was gracious and excited to be there.